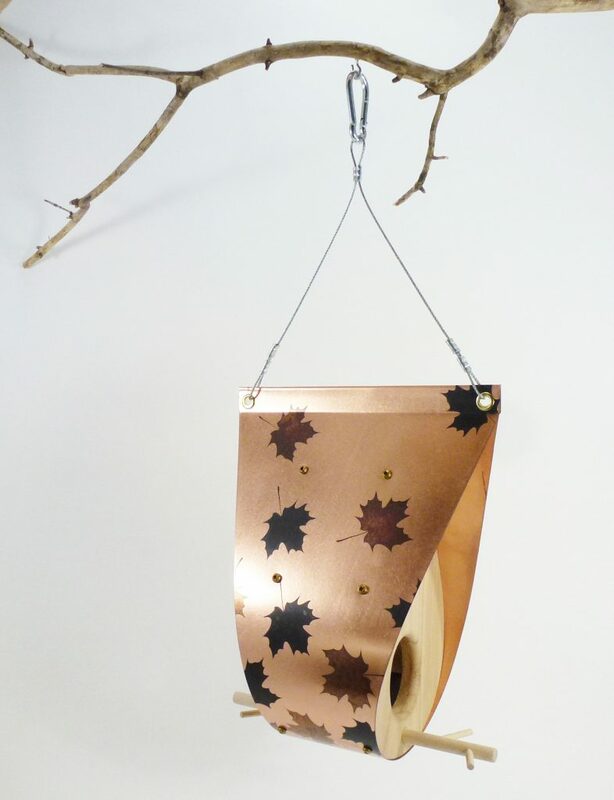 This collection was created in 2017, to celebrate Canada 150. 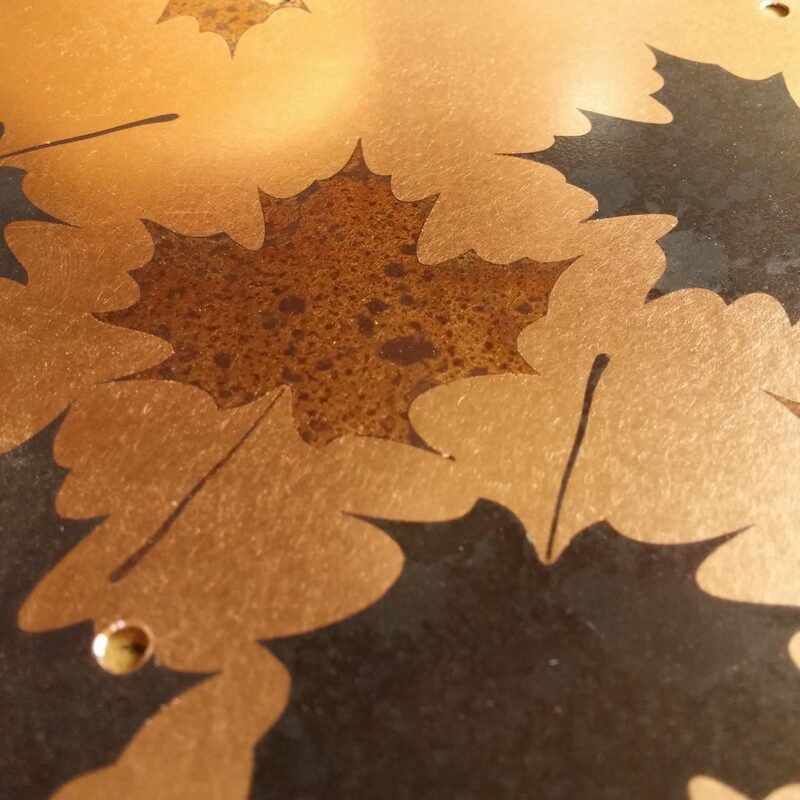 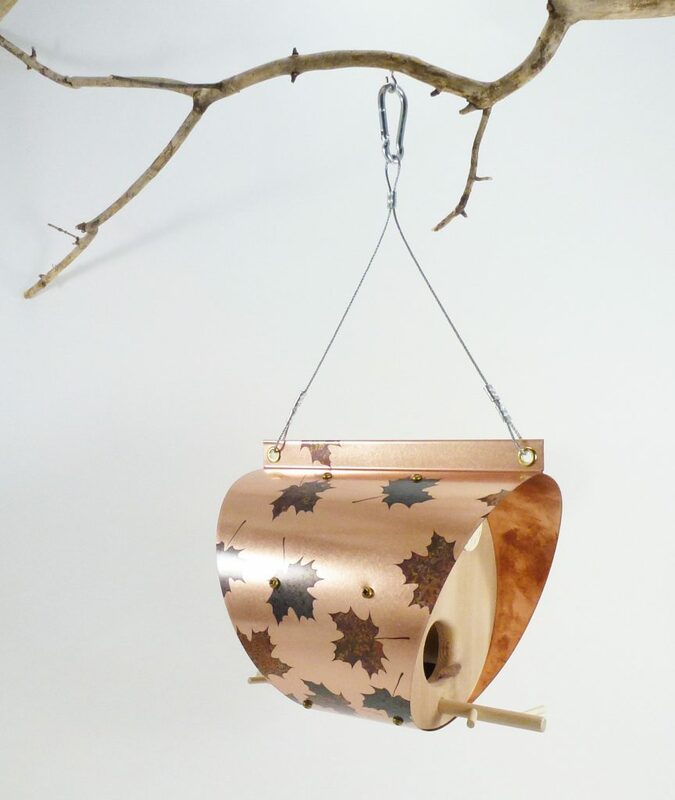 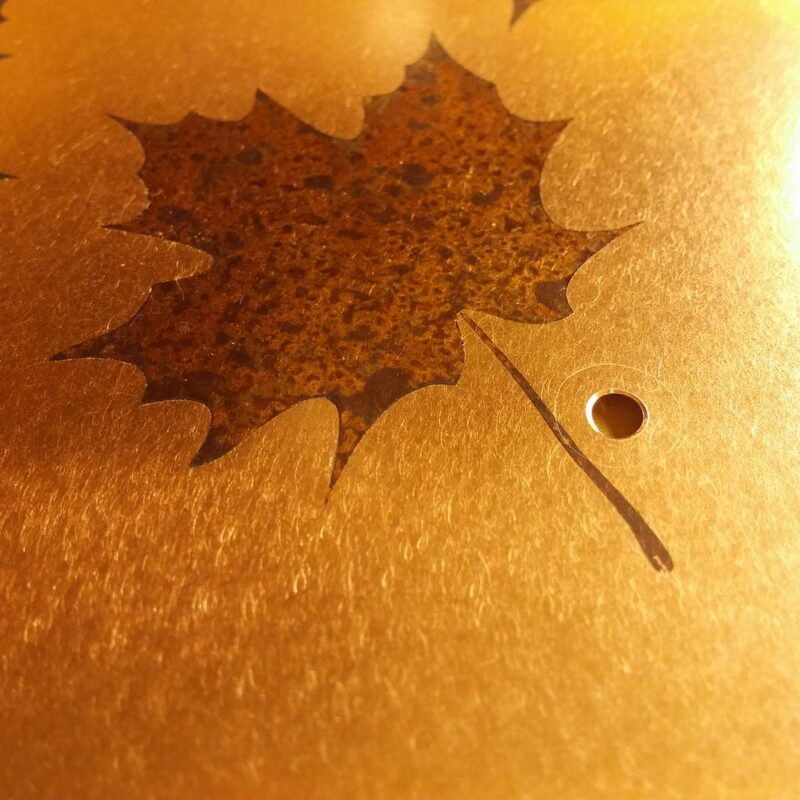 The maple leaves arise with a chemical process that we do on natural copper. 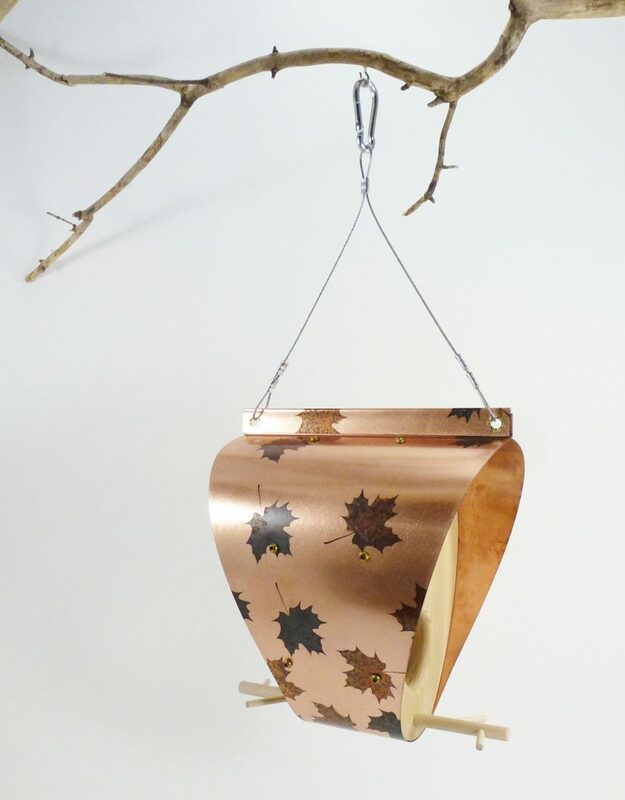 This one-of-a-kind patination on copper is made with sulfur. 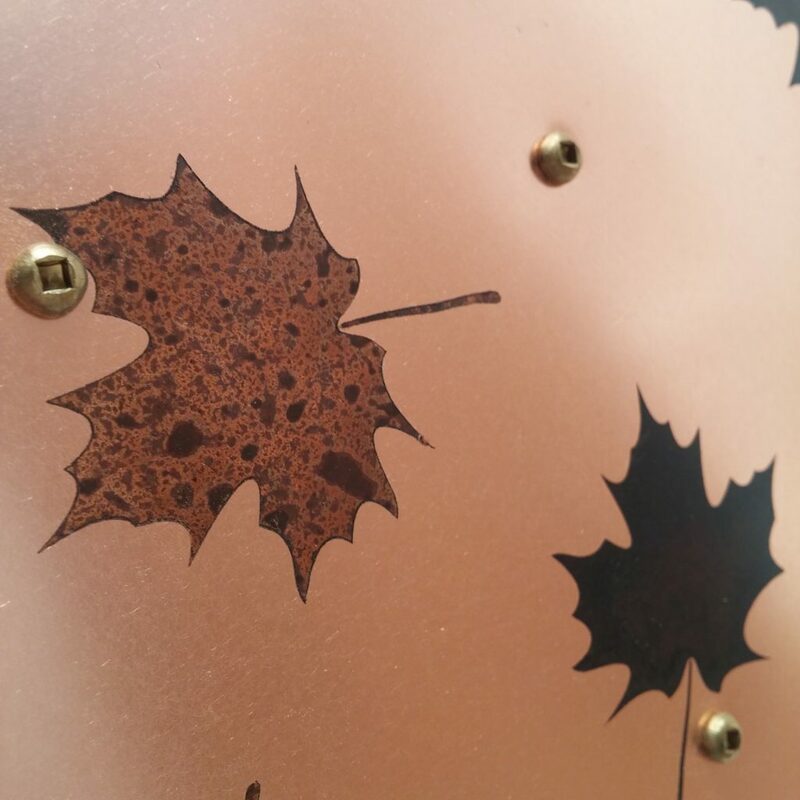 It is a chemical reaction that turns the copper darker, it goes from light brown to deep dark depending on timing. 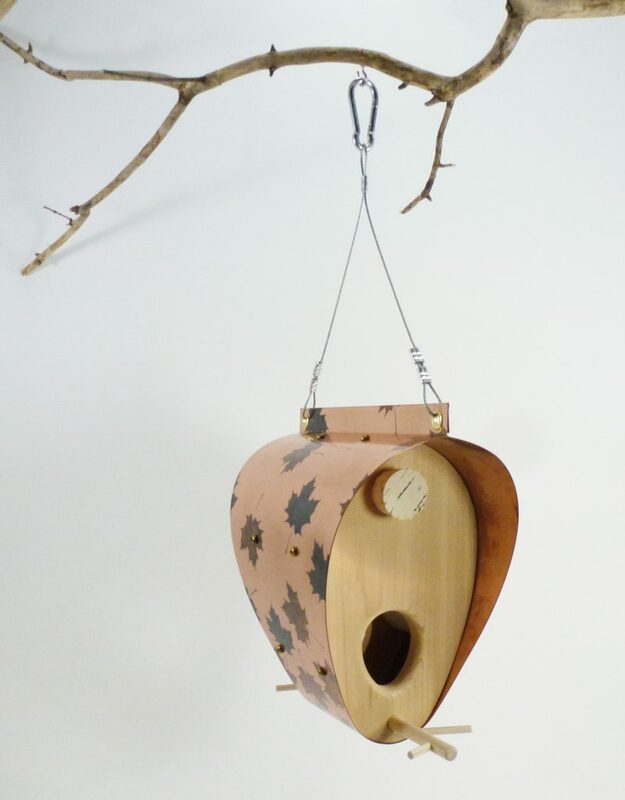 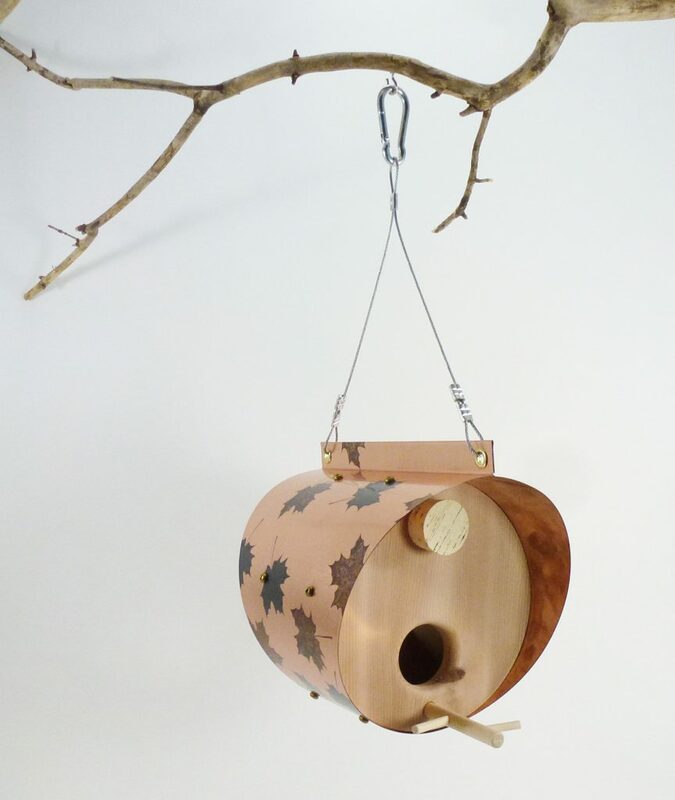 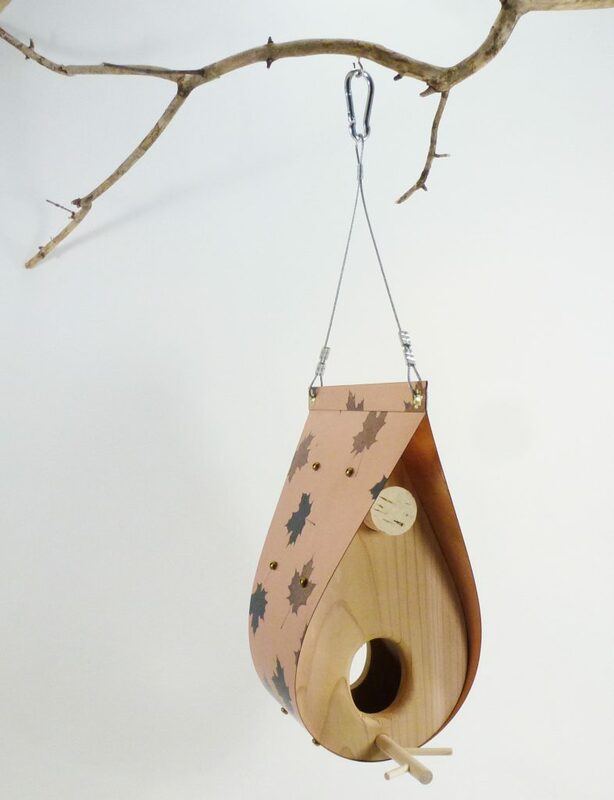 Then, the copper is lacquered for outdoor, so this model won’t change colour anymore, copper will stay its bright color with the darker leaves.